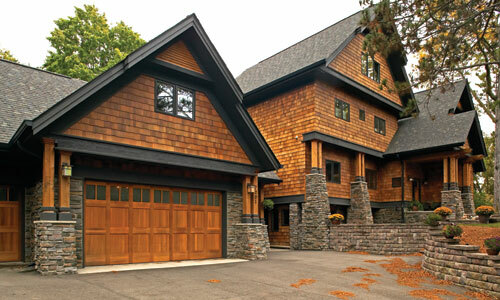 Shakertown Fancy Cut Shingles and Panels | International Wood Products, LLC. Set your imagination free with Fancy Cuts from Shakertown. Fancy Cuts are the perfect accent to a bay window, entry, or gable and different shapes can be combined so the possibilities to develop your own signature look are endless. Fancy Cuts Shingles are 100% clear, 100% edge grain Western Red Cedar, with the color and grain variation that enhance wood’s natural beauty.